KUALA LUMPUR (Aug 16): Malaysia Airlines Bhd is implementing self-print baggage tag for all its flights with effect from Thursday, saying it is a way to make customers’ travel experience faster and more efficient. In a statement today, the national carrier said passengers on Economy Class tickets will need to print the baggage tags at check-in kiosks located around the departure level of Kuala Lumpur International Airport and self-tag their bags, before proceeding to the baggage drop counter. But for the time being, passengers travelling to Dhaka and Kathmandu will still need to check in at dedicated counters. 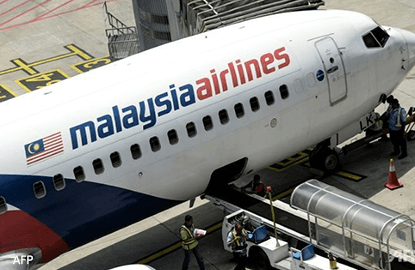 Malaysia Airlines said this move is in line with its strategy to leverage on technology in order to simplify and reduce the time for check in, giving customers more control over their travel experience. It added that this is the first phase before the airline moves to introduce self-baggage drop by the fourth quarter of this year. Together with ground services handler AeroDarat Sdn Bhd, Malaysia Airlines said it will continue to introduce new systems to modernize traveling and provide ease to passengers. “Many global airlines around the world have implemented this service to simplify the travel experience of passengers. With the new system, the check-in process from kiosks to baggage drop counters is expected to be significantly shorter,” it said. Passengers who check-in via web and mobile will also need to print their baggage tags at the 50 kiosks available, before proceeding to the baggage drop counter. Malaysia Airlines said there will be instructions on the tag and standees around to educate passengers on the process. A maximum of two printed baggage tags per passenger is allowed at the kiosk. Malaysia Airlines’ Economy Class passengers are allowed to check-in a maximum of two pieces of baggage weighing 30kg in total.